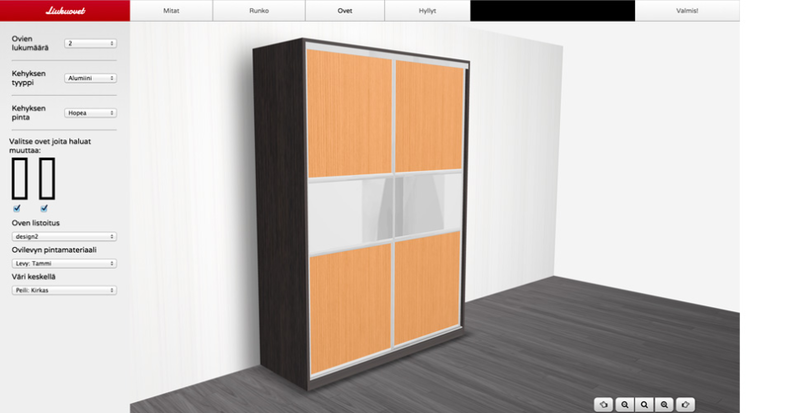 An HTML5 designed modular product configurator for online use. It offers a hall, wardrobe, slide door, and bathroom configurator. Custom configurators also with monthly pricing.